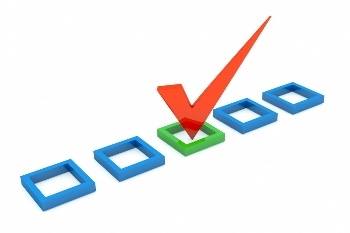 Backlinks are always the most useful part of any online SEO strategy. Every SEO professional and business want to generate more one-way links. But it is not that easy. It takes time and efforts to build quality links. For You: What are Dofollow Nofollow Link SEO Basics? Some ways can help you build backlinks by optimizing and using your social profiles, yet most of the bloggers are not using this strategy. Some people think that creating social patterns for the sake of backlinks is a spammy strategy. Some people are doing it in wrong way, but the same time there are professional who understands how to use social profiles to get quality links genuinely. 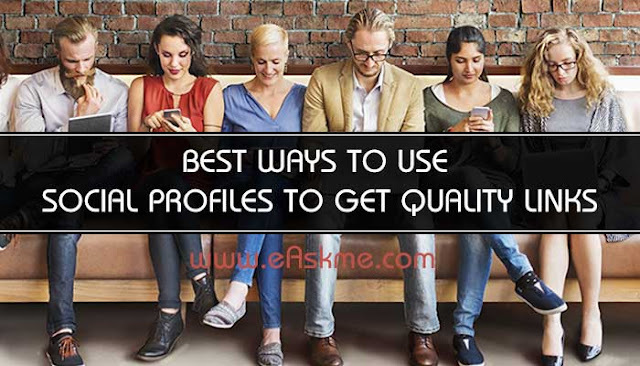 You should not just create profiles to make people find your presence on every network, but you must develop patterns with real information, accomplishments, and background. When you have social profiles on most extended networks and utilize them correctly, then you not only get traffic and subscribers for your blog or business but also boost your social media presence which is quite helpful to rank high in search engine results. Today I am going to share the best ways I have discovered to use social profiles to get quality link backs. Users always interested in the real things. When your profile looks real, it grabs more engagement. It also helps you build trust. People always ignore the random messages from businesses and social networking sites as there are so many businesses that are populating emails of the people every day. Every company tries to pitch their products in emails. A personal connection always pays off. To create the successful network, it is necessary to personalize posts and focus on building relationships. Do you know that many digital marketers search for executive profiles to add a connection to build trust? This also helps you to find people with similar interests. This will help you to construct a mutual relationship of promoting and sharing content. 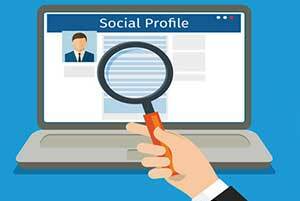 The executive must understand what to say on social profiles. 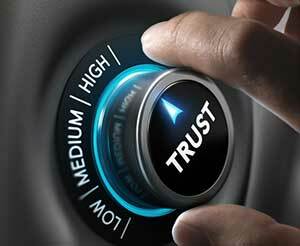 Have the potential to build trust. Involve executives in social media marketing strategies. Forums are not only for question-answers, but you can also use them to build trust and relationship among professional in your industry. Forums are a great way to connect with the like-minded people in your industry or niche. You should focus on finding online communities of your niche and engage. You will get in-depth answers to latest issues and also have a lot of opportunities to share your expertise to help others and build trust. Reddit has a high potential to help you find professionals and connect with them. You can use discussion boards and subreddits. You can also join Github to connect with developers and programmers. Remember you cannot build the trust-able connection by spamming in these forums. You should engage with users by completing profiles, getting involved, answering questions and sharing your content. Only share the useful content according to your site niche. Don’t commercialize your discussion. You should make your executive share your content or re-share it regularly. Linkedin is the best place to share your content with the professionals. The link suggestion tool is a great feature that makes people visiting the helpful content. Your executive should comment and share your article with the link. People always interested in what others are saying about your content. Instagram and Twitter are the places where people follow other people hoping that others will also follow them. It is an excellent strategy to get influencers support you, but you have to take one more step. You should share the tweet mentioning the influencer about what they have shared recently. For example; when following other retweets their tweet, like them and comment there. The more you admire the work of others the more followers you get. Always engage with the influencers, and this will help you boost your social shared and build strong connections. You can also learn from others. When authorities and influencers start trusting you, you can ask them anything that can help you to boost your business and sharing links. The Facebook ad is a great way to reach your target audience. You can get highly targeted traffic even by spending $50. 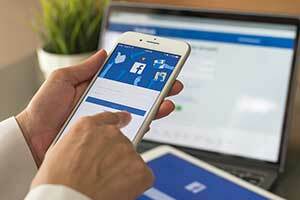 When you carefully optimize your Facebook ad campaign, the result will be higher. You should target the specific industries and interests. Focus on the title and description when running Facebook ads. Your ad will also help you grab links when influencers find it quite helpful for their readers. I am not talking about the quickest way to build links and social shares but what I have shared today is a really effective strategy to get one way or quality backlinks. These backlinks are always have long term impacts. When you are working to grow your network or influencer outreach, you should follow these strategies. You will attract more shares when a person with lots of followers shares your content. You just not create profiles for the sake of links, but you should also engage on your profiles. Always share the helpful information, share interesting content and appreciate others. What do you do to build backlinks? What is your social media strategy? If you still have any question, feel free to ask via comments. If you find this article helpful, do share it with your friends and followers.